As the Syrian army intensifies its crackdown on the restive Idlib province of northwest Syria, bordering Turkey, Lt.-Col. Mutee Elias Elias is now the first Christian officer to defect in Idlib and join the opposition Free Syrian Army (FSA). 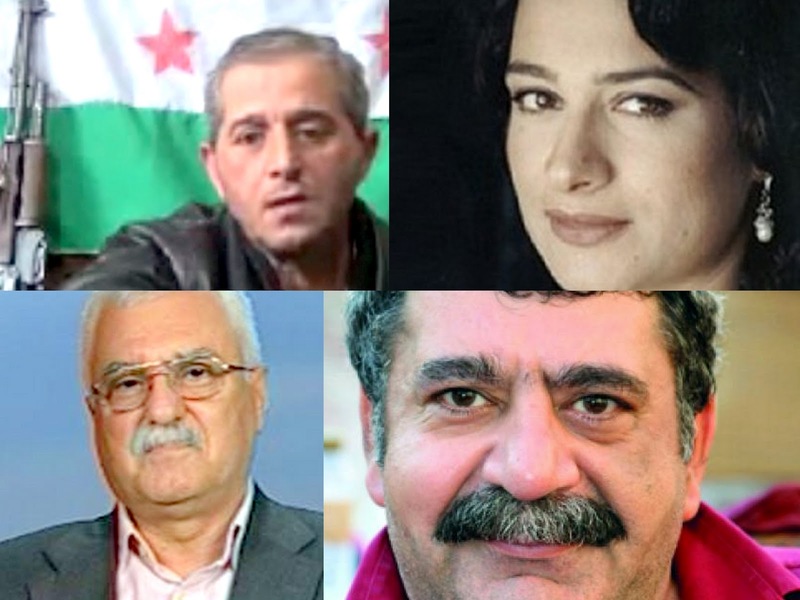 Political, social and media figures from Syria’s Christian community play a leading role in the yearlong uprising against the regime of President Bashar al-Assad. George Sabra, a political activist who fled on foot to Jordan last December before settling in France after 42 years of harassment and imprisonment in Syria. Hailing from Qatana, he served eight years behind bars during Hafez Assad’s rule and was held without charge or trial on two occasions last year – one for a month and another for two months – for supporting the opposition. He is now a spokesperson for the opposition umbrella Syrian National Council (SNC), and is a likely successor to SNC Chairman Burhan Ghalioun at the end of the latter’s term. May Skaf, a renowned TV star and actress who was detained and beaten for taking part in a peaceful demonstration in Damascus last July and later released subject to restrictions on her movements. Faris el-Helou, a popular actor who wrote on Facebook hewas threatened with death for joining a 2011 protest against the government. The “godfather of modern Syrian politics” was also a Christian. Faris el-Khoury (1877-1962) served Syria as minister, prime minister and parliament speaker. He was the first Syrian statesman to visit the United States and represent Syria at the 1945 inauguration of the United Nations.